Fixed Assets have a deciding weight in the net worth of Companies and in the generation of revenues. The management of Inventories and their valuation do have an impact on the decisions to be made by the Management. An effective management of the Fixed Assets should be able to answer questions such as: Which is the Depreciation Expense based on the current costs? Which is the effective return on an investment in plant Assets at the current prices? Is Leasing a Financing alternative? Which are the values at risk and their impact on the coverage of the Insurance Policies? Which is the method of re-expression of financial statements best adjusted to the equity structure of the Company? 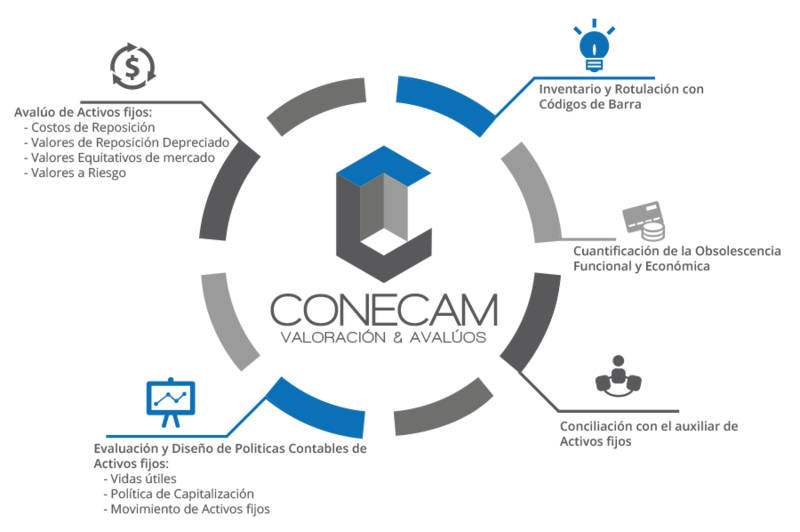 CONECAM has specialists in the Technical, Financial and Accounting area, for the purpose of giving an overall treatment to the management of your Fixed Assets. Therefore, we offer more than an Appraisal, we provide a Vision, Strategies and Solutions for the Management of your Fixed Assets.